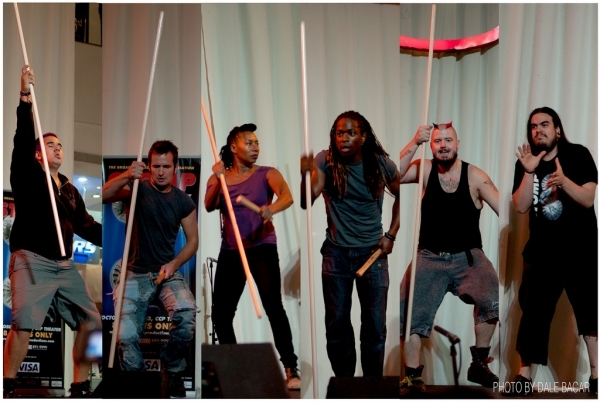 Stomp, the international broadway sensation, is in Manila! The show features a unique combination of percussion, movement and visual comedy. This highly anticipated show will be staged at the Tanghalanag Nicanor Abelardo, CCP from October 18 to 23 2011 for 8 awesome shows. Meet the cast of Stomp! A Stomper from Hawaii, Andrew started Stomping in October 2006 in Las Vegas. He joined the European tour in 2010, and has also performed in the New York Production. Back home in Hawaii, he spends time with his family, cruising on the beach and playing music with his friends. Gus the Clown, aka Milky T, was raised in Brighton and Hove, having been born in Melbourne Australia, he first saw Stomp when he was ten years old. He is neither a dancer nor a drummer, yet he is a mover and a shaker with a heart of pure rock. He can also be seen in the television series The Last Chancers, Nathan Barley and the Ska group Madness Film by Julian Temple The Liberty of Norton Folgate. Gus thrives with being on stage whether he's sweeping it or bum rushing it. Johannes was born in Vienna, Austria. He studied music in his hometown, played drums in different bands and theatre productions before he joined Stomp in 2001. In 2006 he was invited to be part of the original cast of Pandemonium, a new orchestral show by the makers of Stomp, which completed a series of sell out shows at the Sydney Opera House. Outside the theatre, he teaches in musical schools and gives workshops in educational and social establishments all over Europe. Johannes also works as a freelancing musician and writes music for theater. Michael is originally from San Diego. He played percussion with CRP productions for many years, and then was inspired by Chris Rubio to take his dream further. Taught by Michael Silvia, life long friend, the way of the beat came to his heart. Born in Leicester, where she was seduced by the powers of Pans People led her to take up training in African, afro-caribbean, ballet, contemporary, jazz and tap. She is a teacher and choreographer, also a qualified fitness instructor. Melanie is delighted to be a member of Stomp. Nigel left stomp 10 years ago claiming he'd done his time! But you know how it is when you join the family business. "Just when I thought I was out...they pull me back in!" An explosive energy in the company, Nigel has Stomp in his blood and springs in his feet.